After spending the afternoon walking around the stalls at Regional Flavours @ Southbank, we were famished. 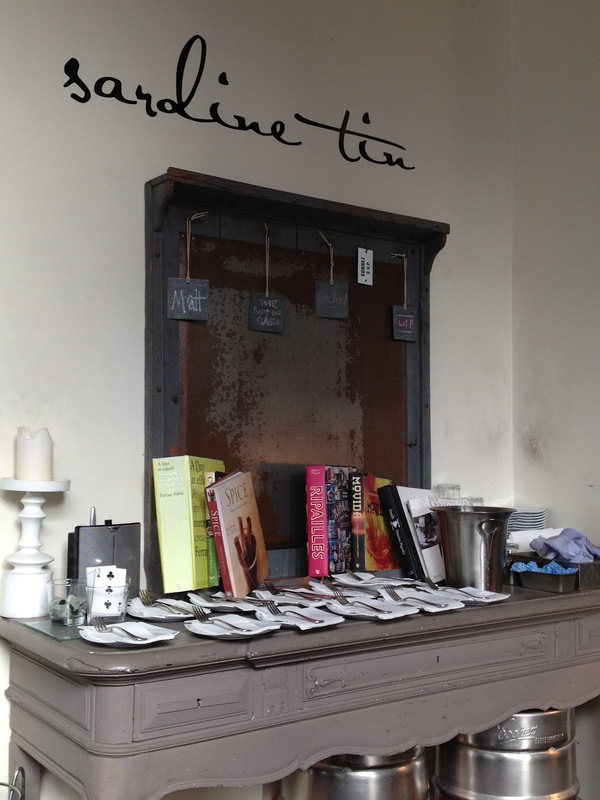 We spotted an empty table at Sardine Tin across the road and decided to give it a try. The setting was simple and rustic. As for the menu, it was quite brief: a small variety of tapas dishes for sharing and a few light meals, suitable for one. They had an open kitchen too, so we could see the chef preparing our dishes. 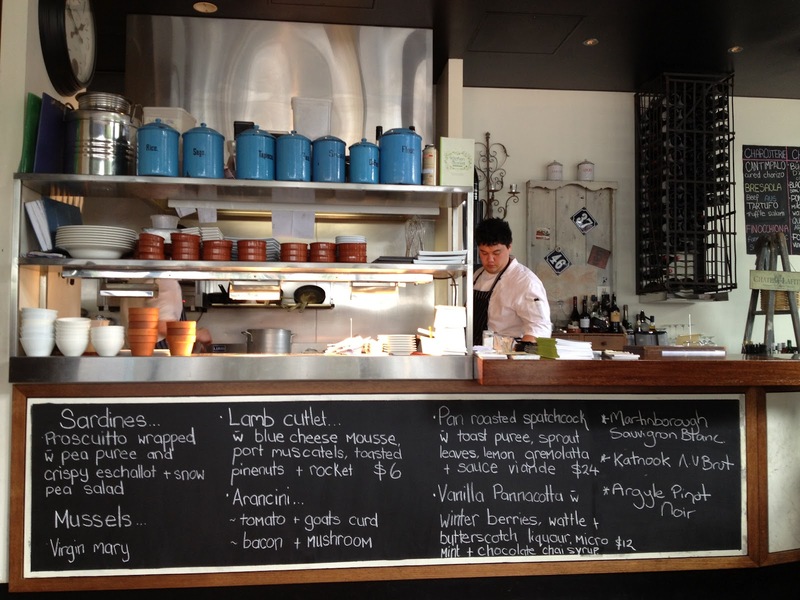 I ordered Arancini with Tomato and Goats Curd ($12) and Arancini with Bacon and Mushroom ($12). Not only did it look good on the plate, it tasted delicious too. 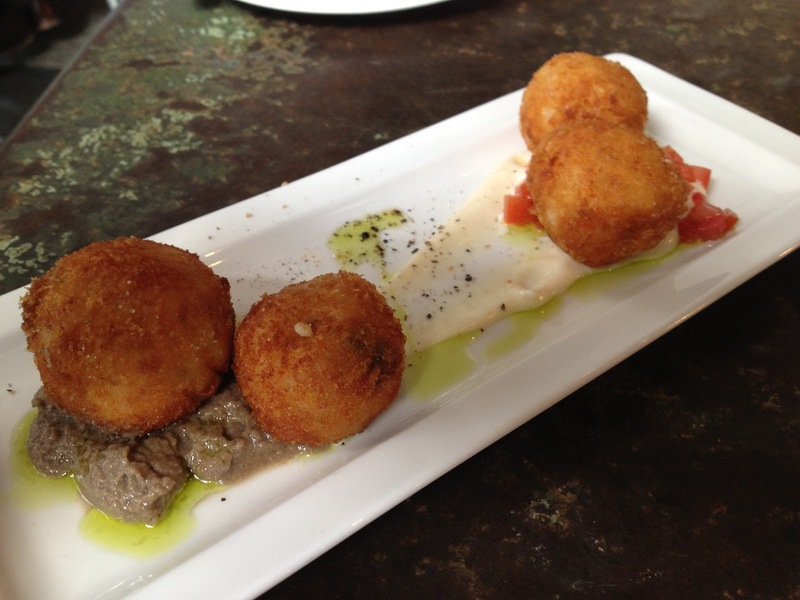 The crumbs were light and crispy and the arancini balls were packed with flavour. 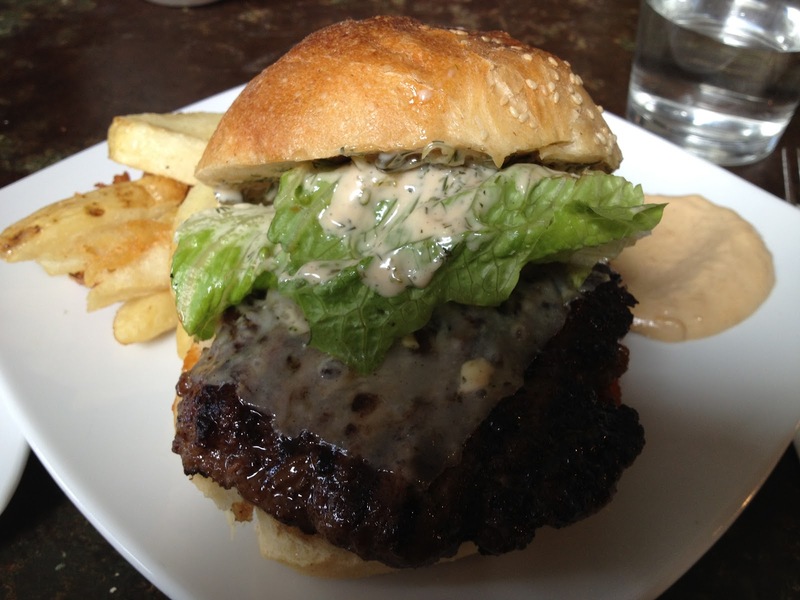 D ordered Wagyu burger with gruyere, cos and tomato chutney ($15). It was cooked perfectly and had a nice balance of flavours. The side serve of mustard did not go to waste in helping us demolish the chips. 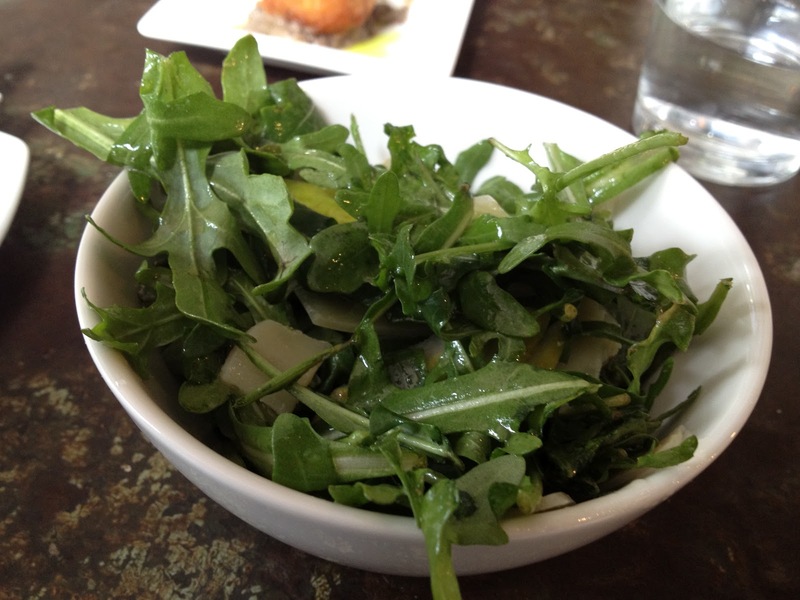 We also ordered a pear and rocket salad ($8) to share. It looked a bit ordinary but was light and refreshing. It was a simple, yet enjoyable lunch. Friends tell us that they regularly change their menu so we will probably visit again some time.